Understanding the answer to the question — what makes good fantasy — is the key to unlocking the potential of the fantasy genre. If you’re a GM, a writer, a designer, or a consumer of fantasy products then it’s a question worth figuring out. Or, better yet, what fantasy works inspire you? I’m sure your answer’s going to be way different from mine. There’s a glut of fantasy content out there — movies, books, games, RPGs — and not all of it resonates with everyone. Even the cream of the crop isn’t going to fire everyone up. The World of Warcraft is plenty of fun, but it isn’t inspiring me or fueling my storytelling. On the other hand, whenever I dive deeper into the world of Warhammer, including the newer Age of Sigmar, I come up wanting to create more fantasy. The Lord of the Rings and The Children of Húrin did the same for me, as did A Song of Ice and Fire. Not every book by Tolkien or Martin stirs my soul though. I still think The Silmarillion is possibly the most boring history book ever written. All the works I’ve listed are masterworks, crafted by some of the world’s most skilled storytellers. They figured out how to capture our attention and take us on a journey. For me, the gritty darkness of the Warhammer world and the Mortal Realms is real and alive. Tolkien’s world exists just as vividly in the text as in the recent movies, and Martin’s characters live and breathe from the pages. This believability draws us in, and once we’re hooked, the real magic can happen. Literally. I’ve read bucket loads of R. A. Salvatore’s Drizzt novels, but they never turned me on. I think it’s largely because of a superficiality in the books that remind you that you’re reading a fantasy novel. The books are hugely popular, sure, but not groundbreakingly good. Crafting something believable and then adding the magic gives us a relatable anchor that draws the audience in. When the paladin gets lost in a bustling city market we can sympathize, then enjoy the wonder when she meets a vendor selling a magical phoenix. RPG monster manuals, bestiaries, race guides, magic item lists, and spell books are full of fantastic goodies by design. It’s tempting to dish up great big helpings from these resources, but we’ve got to keep the human element front and center if our players are going to buy what we’re selling. Even a goblin campaign needs relatable elements: check out We Be Goblins and We Be Goblins Too from Paizo and you’ll see some interesting tricks used to pull human players into feeling for the monsters they play. Partly this is done by keeping humans out of the goblin’s path, because we don’t want a part in the death of innocents. The realism makes the fantasy work. We spend quite a bit of time with Bilbo and Frodo at the start of The Lord of the Rings and The Hobbit movies because they’re so relatable. Dragons, magic, elves, and demons all work against that backdrop of humanity, and it’s the GM/writer/designer/storyteller’s job to weave this humanity into everything we’re selling. That’s the key to good fantasy. Till next time, play good games! Check out our store, subscribe to our newsletter for monthly updates, and visit us on our blog, our Facebook page and on Twitter. They came in a deadly whirlwind of steel and spell, annihilating all within the catacombs. In the aftermath, you awoke, gaining sentience from residual magic they’d left behind. Battered and frail, you creep forth. Last week I wrote about flexing your game design muscle, which is where Stitched comes in. In Stitched, you play the reanimated remains of long-dead corpses, eager to feast and grow in power. The game is my entry into this year’s 200 Word RPG Contest. This month’s RPG Blog Carnival’s theme is “What Scares You,” which gives me the perfect opportunity to share the game and talk about it. Before we jump in, a word of thanks to Reckoning of the Dead for hosting this month’s carnival. Stitched is a game for 1–5 players and a GM. You’ll need 8d4, 4d6, 2d12, and 1d20. The GM uses a pile of counters. You are undead, weakened but sentient after tomb raiders invaded your dungeon home. You begin with 1d6 to represent your abilities. As you hunt, you’ll gain dice, allowing you to attach them to your growing form by spending two similar dice: 2d4 = 1d6, 2d6 = 1d12, and 2d12 = 1d20. Each die represents a different amalgamation of necrotic flesh with a shared consciousness. The GM sets the scene, then players take turns describing their actions. Roll the dice. A 4 or more indicates success. A 1 is an injury: split the die or remove it if it’s a d4. The GM can increase the difficulty by 1 by giving a player a token. A player can spend 2 tokens to gain 1d4. So that’s the game, in all its 200-word glory. The core of the game is the dice mechanic, which I first built to emulate oozes splitting and rejoining. Playing an ooze, even a sentient one, didn’t sound like a fun session at the table, so I changed ectoplasm into limbs and got the Frankenstein’s monster-like stitched, undead that can sew more body parts onto themselves. For more games I’ve designed, check out 3 Stone Stories (free) and Claustrophobia! Things have been heating up here at work — with a bunch of gaming projects getting underway — so I wanted to sneak out a new freebie for all our friends and fans. “What sort of fool do you think me?” her voice held no pity. He could feel her eyes trying to unmask him, but the acidic blood of the Fell Wurm had burned fiercely. She lifted her blade high. Hands down the best of the three Pathfinder Tales I’ve read so far. Gross presents two memorable characters, Pathfinder Varian Jeggare and his bodyguard, Radovan, in an exciting and engrossing adventure through ominous Ustlav. 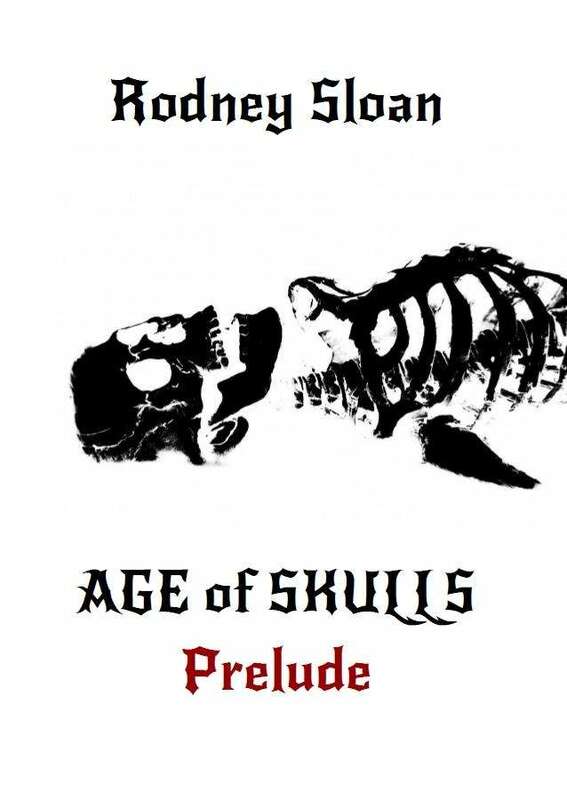 Written in a style reminiscent of Sherlock Holmes and Dracula, the story draws you in, and, despite several errors, provides a thrilling read with a good mix of horror and humour. Highly recommended, not just for Pathfinder and RPG fans. The local tavern isn’t just a drinking hole, or a place to hear far fetched tales. It’s a home, a meeting place for a group of adventurers who share a common bond, who’ve built their trust in each other through countless battles and exhilarating adventures. While not every adventure starts in the tavern, the best ones always end there, with arguments over loot put to rest when the barman taps a keg. 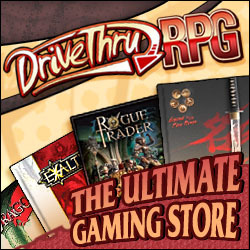 Click to get the Tavern on Drive Thru RPG. The Pewter Tankard Tavern Map is an inch grid map, perfect for use with most fantasy role-playing miniatures. This PDF contains 3 versions of the same A4 map and several ideas for including it in your fantasy RPG campaign. Recreating comic book heroes for your Pathfinder game is easy if you know where to start. Today we’ll build everyone’s favorite wall-crawler – Spider-Man. I recently came across this post and decided to take a shot at building Spidey, who happens to be my fav Marvel character. My build needs to be playable in a campaign and I don’t want to home-brew too much, because I’d like to use him for an Icon adventure module I’m writing for 2014, and home-brewing means I need to do more playtesting. Peter should have all the powers he has in the comics, but the technological limitations of the setting and the presence of magic can be taken into account. mutant n. a living thing differing from its parents as a result of genetic change. To start out, we need a race that reflects the mutation of our hero. Peter Parker might have been human, but that radioactive spider bite changed his DNA and gave him his superpowers. Call in the Advanced Race Guide . Normal (0RP) We’ll make him faster with traits. Defensive Training, Greater (4 RP): +2 dodge bonus to AC, which we put up to his spider sense. Lucky, Greater (4 RP): +2 to all saving throw, again this will be part of his spider sense. Climb (2 RP): Climb speed of 20 feet and a +8 on climb. Jumper (2 RP): Always considered to have a running start for acrobatics checks. Expert Climber (4 RP): another +8 to climb and can crawl on ceilings, as long as he has hand holds. Cat’s Luck (1 RP): Better agility or spider-sense, you decide. Skill Bonus (2 RP): Acrobatics +2. Fleet-Footed (3 RP): Run bonus feat and +2 to init checks. Mountaineer (1RP): Immunity to altitude sickness and lets him keep his Dex bonus to AC when climbing. At 30 or 40 Race Points the mutation would be more than playable alongside similarly constructed races, we haven’t broken the game and we’re just getting started. So if the mutation above reflects the effect of the radioactive spider, Spider-Man’s class and character traits should reflect his upbringing (having been bullied, being raised by his aunt and uncle), personal talent (Peter’s high intelligence) and life experiences (studying, working as a reporter, and so on). As for class, there are plenty of good arguments for Monk, Rogue, Alchemist and a bunch of other classes. Ideally, I’d like to give a player the Spider Bite Mutation and let them fill out the rest as they see fit. But since I’m building a pre-gen, let’s take a look at some choices. Alchemist has been suggested to cover some of Spider-Man’s powers, but I don’t think this is necessary with the mutation/race. Alchemist or Rogue can cover Peters studies (think ranks in disable device and craft alchemy), while Monk covers his combat experience and reflects his Lawful alignment. Depending on what level I decide on, I might go with a ratio of 3 Monk levels for every 1 Rogue level. Stat wise, I’ll go for a high Intelligence and low Wisdom, probably using a 25 point buy. Do you get anything more Epic than this? High Strength, Dexterity, and Constitution are important while Charisma can be low, as long as he has ranks in Disguise and Bluff. Peter built his own web shooters using technology that wouldn’t be available in a fantasy setting. Luckily he has magic. Magical ropes are one option, and a Rope of Climbing combined with a Rope of Entanglement would be great. This still leaves out many of the cool things Spider-Man’s webbing can do though. Items like Slippers of Spider Climb are good, but sometimes have more powerful effects than in the comics. I like the Equipment Trick, Rope Tricks, from the Pathfinder Campaign Setting: Pathfinder Society Field Guide . This feat lets him coil rope quickly, hog-tie better, use the rope as a bludgeoning weapon, as a whip, to rescue anyone falling, to retrieve rope with a tug, to escape ropes easier and to tangle enemies as a ranged attack! For a lower level build, I’ll stay away from magic, give Spider-Man a few lengths of spider-silk rope and the Rope Trick feat and be done. So that’s Spider-Man. What do you think? Any suggestions? Leave a comment below. Disclaimer: There are a thousand and one ways to build superheroes for Pathfinder, and each route can yield very different results. This is just one possible option. If you disagree with my build, leave a comment below, but be civil or your post will go up in smoke. All Marvel characters, including Spider-Man, and the distinctive likeness(es) thereof are Trademarks & Copyright © 2008 Marvel Characters, Inc. ALL RIGHTS RESERVED.